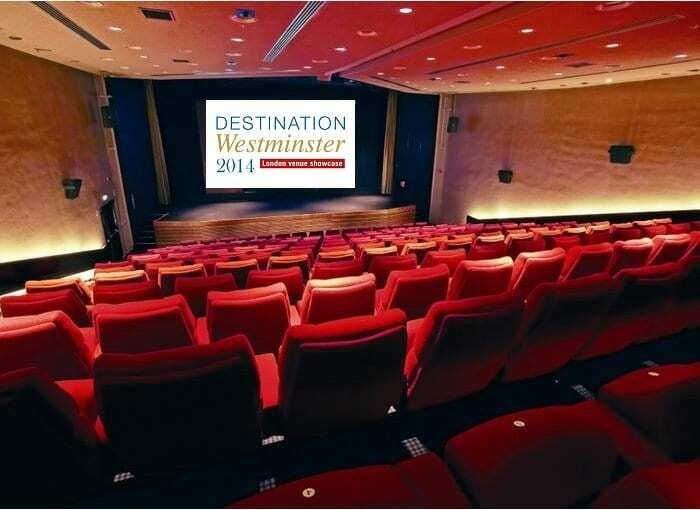 Event buyers wanting an easy route to finding exceptional, centrally located London venues can look forward to Friday 10th October, when we will lift the curtain on our annual venue showcase, Destination Westminster 2014, taking place at the celebrated home of the British Academy of Film and Television Arts, BAFTA 195 Piccadilly, 8am – 11am. Event organisers can claim their tasty ticket to register by popping over to The Westminster Collection on stand G19 at The Meetings Show, 8th-10th July at Olympia, London, where all will be revealed. The Destination Westminster 2014 breakfast showcase event at BAFTA, which is free to attend, is an opportunity for anyone in the business of booking corporate and private events, meetings and conferences to spend a morning with the sales and marketing teams at more than 45 of central London’s most iconic venues. We’re renowned for our eclectic portfolio of member venues, which encompass everything from historic institutes and societies, colleges, museums and private members clubs, to luxury hotels, concert halls, modern training venues, churches and Thames river boats. All visitors to TWC stand G19 at The Meetings Show will also be in with a chance of winning one of a handful of luxury Westminster experiences, including an afternoon tea for four at The Rag – Army & Navy Club and a one-night stay for two, including breakfast and an exclusive dinner at Bistro, at St James’ Court, A Taj Hotel, London. We still have a limited selection of diary appointments available for buyers wanting a more dedicated introduction to the Collection. Register now using invitation code EXIN14.